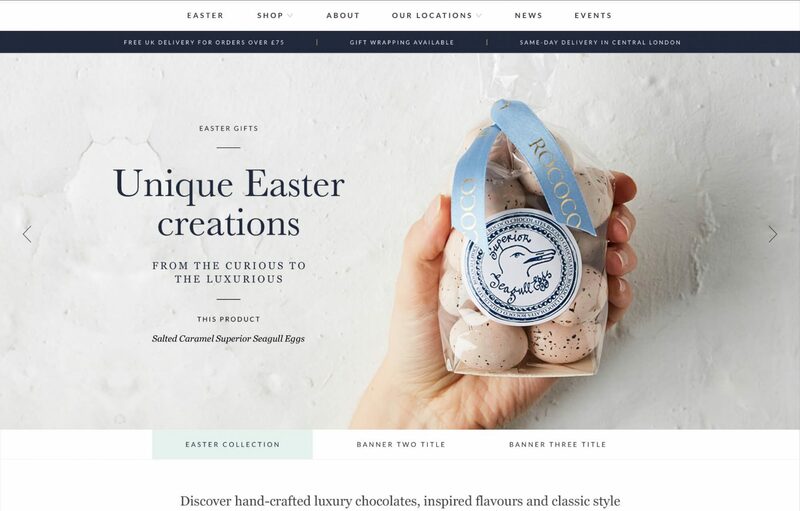 eCommerce site for a luxury chocolate brand. 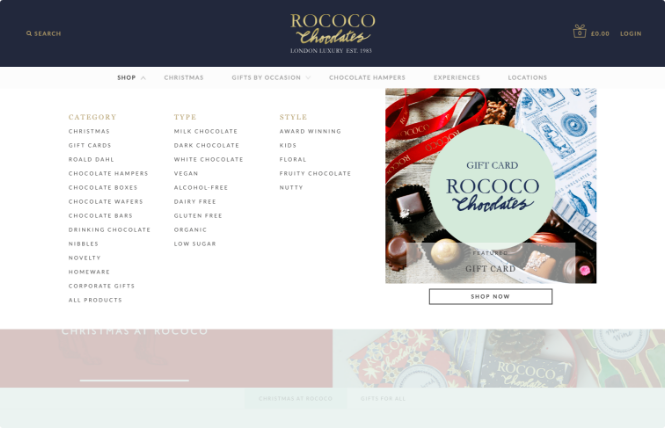 Rococo Chocolates have a new online presence designed and developed by Strawberrysoup. 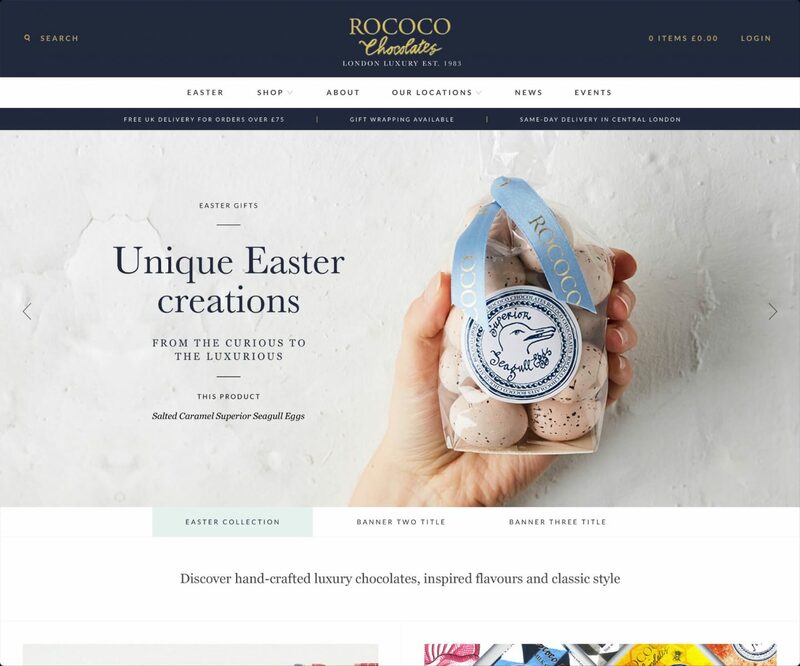 Launching for their busy Easter season we provided Rococo with a new platform and digital space for growth and flexibility. Working with a well-established and luxury food brand was rewarding and enjoyable. 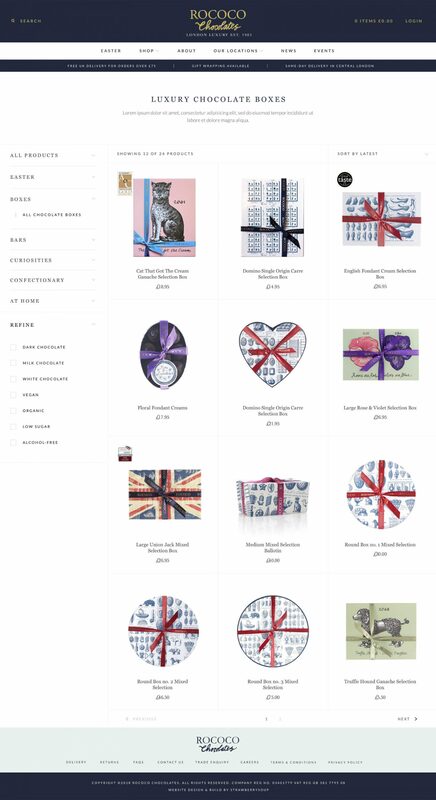 Our team worked within the existing brand guidelines, getting a feel for the business, to bring the brand through all design and development of the eCommerce new website that was launched. 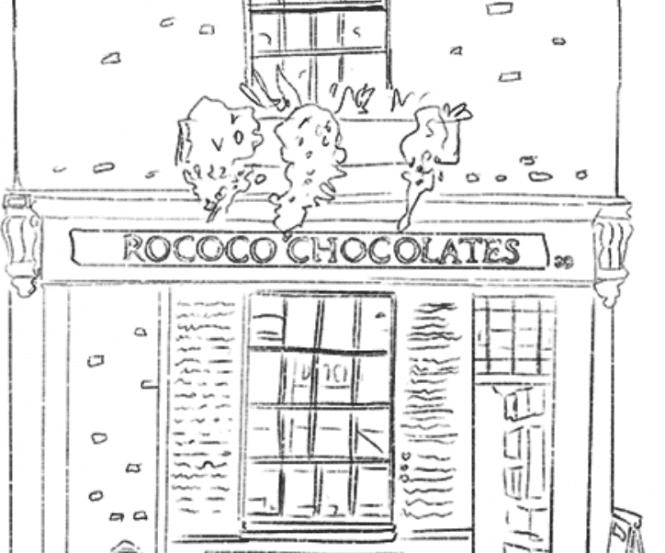 Rococo Chocolates had outgrown their initial Shopify platform. An ideal starting point for most eCommerce websites – and were looking for the next step. This came in the form of a migration from Shopify to WooCommerce. 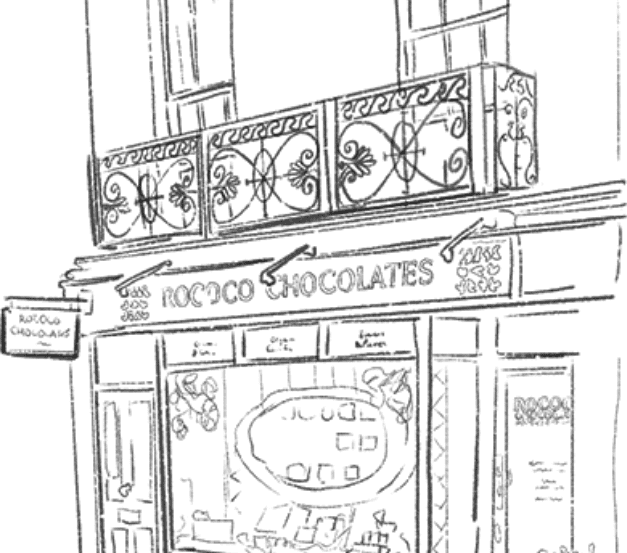 The WooCommerce platform would allow them the flexibility and scope for their business’s natural growth and development, providing a foundation for continued enhancing and expanding for Rococo. 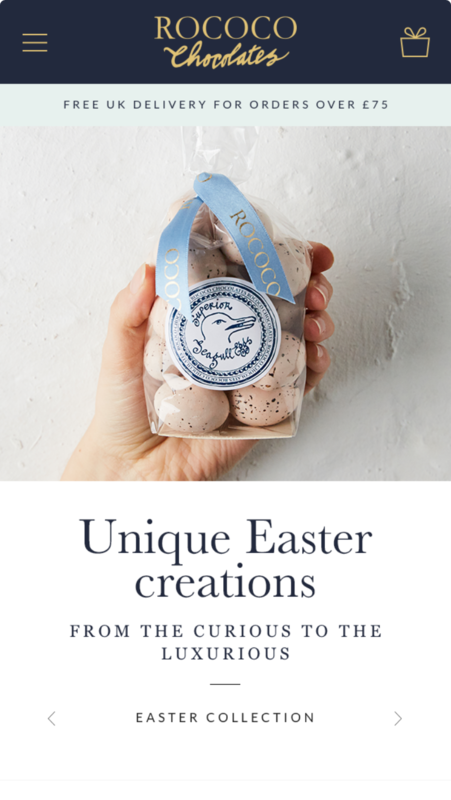 With more scope for merchandising products and a new checkout process to deal with high volume sales at busy times like Easter, it was a logical move forward for the business. 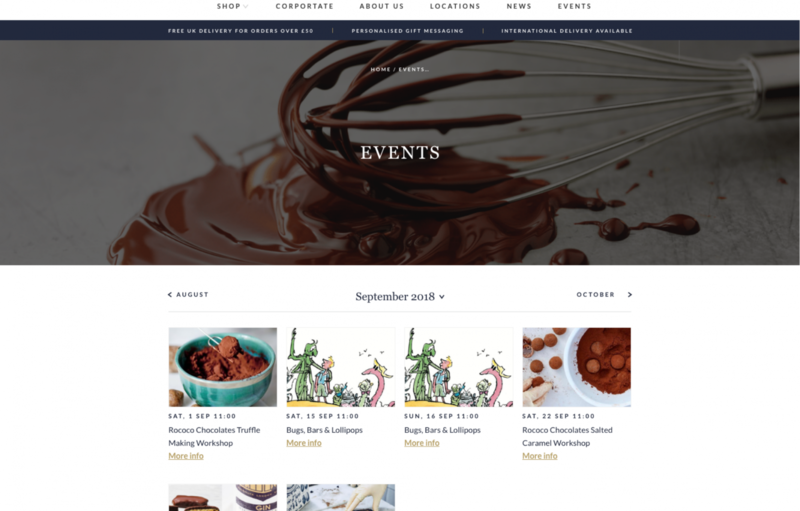 A new digital presence just in time for one of the busiest seasons for chocolatiers. 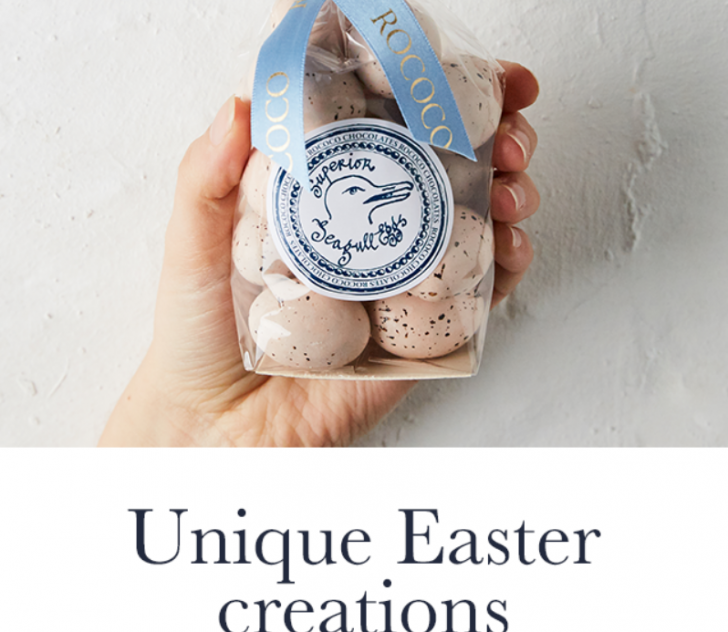 Peak business periods for Rococo include Christmas and Easter and the latter was chosen as a launch date, with the company wishing to approach the Easter period with their new digital presence. This meant a shorter deadline that would require a logical and realistic process from our Project Management team. A phased approach was decided as the best option for delivery. Deployment was divided into two periods, with an ‘MVP’ primary phase, and a ‘Latter Functionality’ secondary phase. 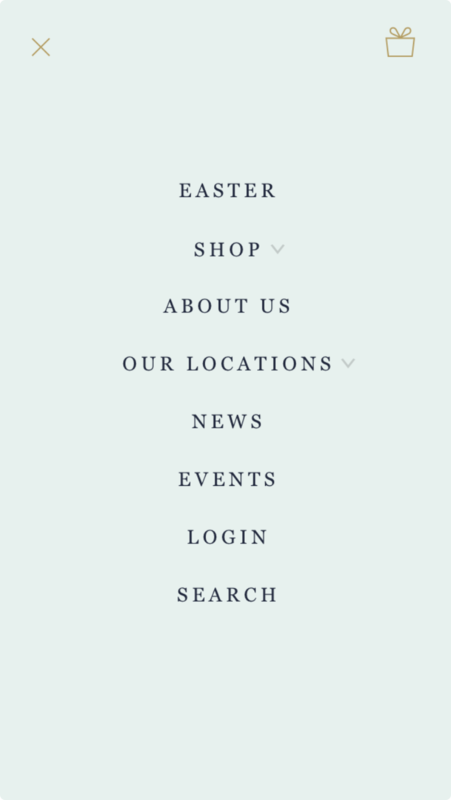 This ensured the website would be launched in good time for Easter with essential features including their Shop, About and other key pages. The Secondary phase post-Easter allowed for rolling out subsequent iterations for new features and functionality. This enabled us to hit Rococo’s deadline and provide best practice work. An exercise in UX best practices improved how users navigate the site. A core part of our UX design was improving the filtering and categorisation of products to create clear and defined product categories. This included categorising by category, type and style. This allows users to drill down to specific product ranges very quickly. 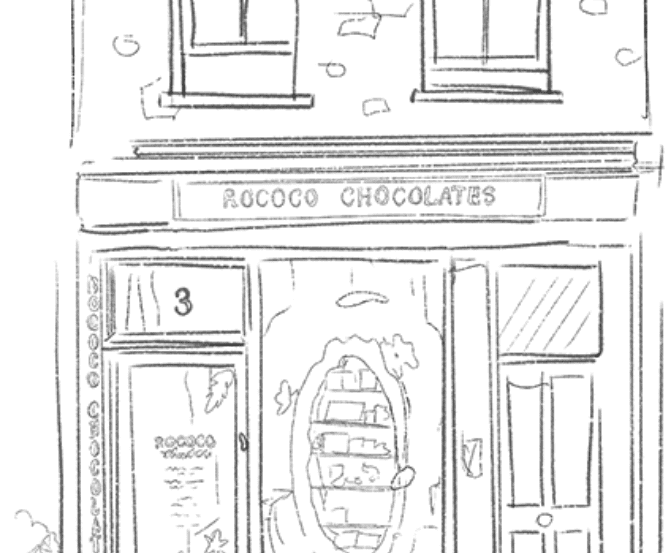 Instead of using standard location photography, we thought outside of the box and created hand drawn illustrations of each store to add a personal touch to the site. 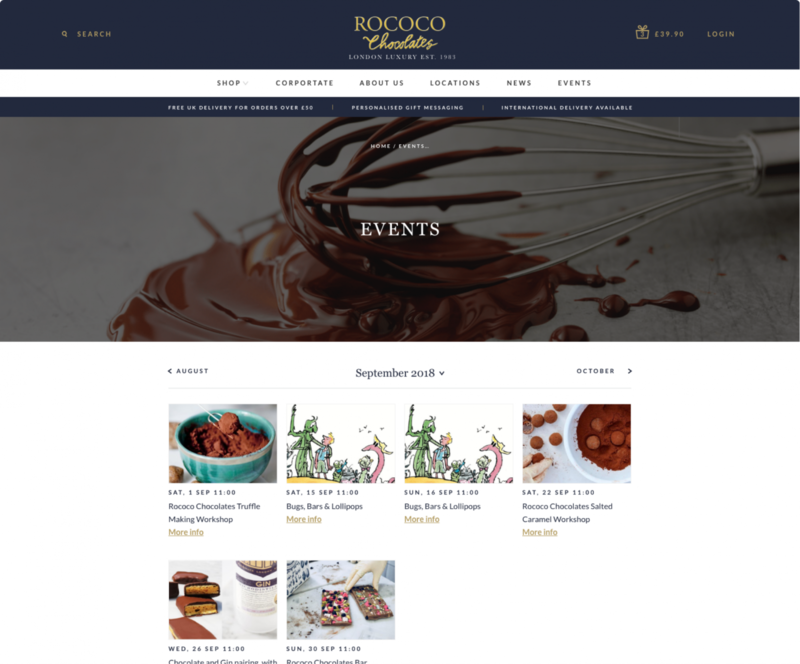 We believe there’s always rooms for improvement, so we’ve been continually refining the Rococo website and user experience. 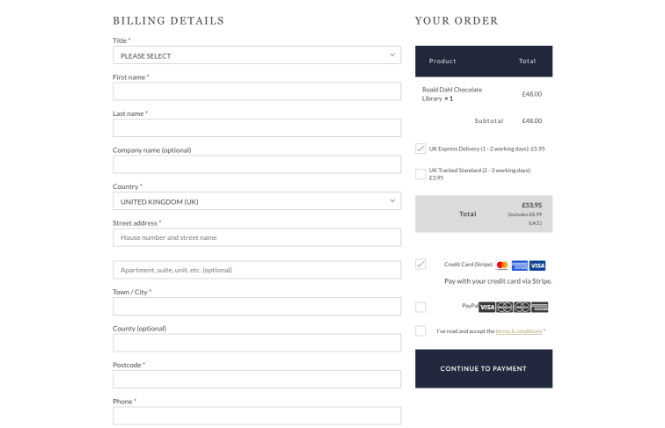 From a new custom checkout to prominent basket incentives, our improvements and refinements have all been carried out with the aim of increasing site conversions. We’ve also used site data to enable us to work on refining core user flows and UX to help users navigate with more ease and efficiency. 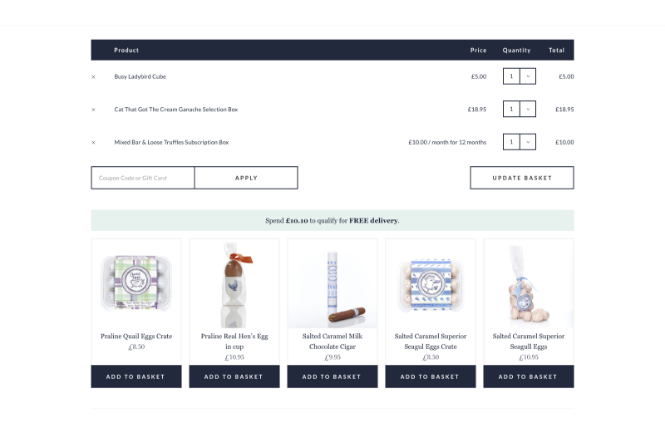 We believe in creating custom solutions where possible to ensure the best possible user experience, and our custom checkout for Rococo is a prime example. 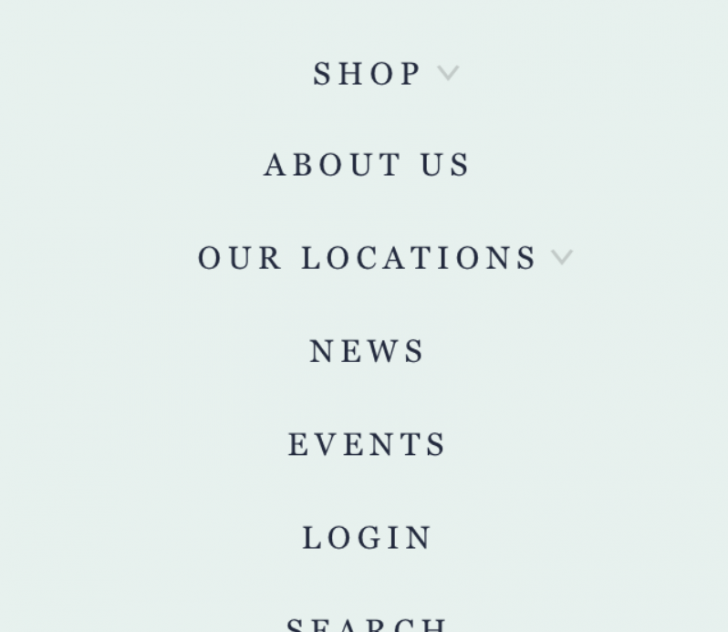 Refinements to the navigation and mega menu allowed for an even slicker user shopping experience. Designing and developing an incentive integration to the basket helps to push products and pull in profit. eCommerce design and build for a London wine merchant. Web development for the biggest name in publishing. Ready to talk? Say hello. We make digital work smarter. All rights reserved. Copyright © Strawberrysoup Ltd 2019. Company number 06523885.